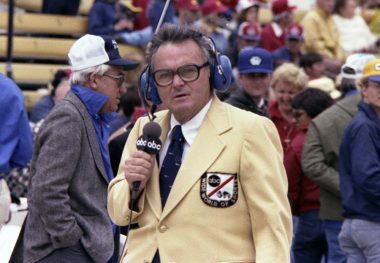 CHRIS ECONOMAKI reported on motorsports, both in print and over the air waves, for virtually his entire life. He frequented Ho-Ho-Kus (New Jersey) Speedway as a pre-teenager and made excellent pocket money selling copies of the Bergen Herald, the paper that later became National Auto Racing News and eventually National Speed Sport News (NSSN). His column, Gas- O-Lines, first appeared in 1936, and in 1950 he was hired as NSSN’s editor, a position he held until his death on September 28, 2012. 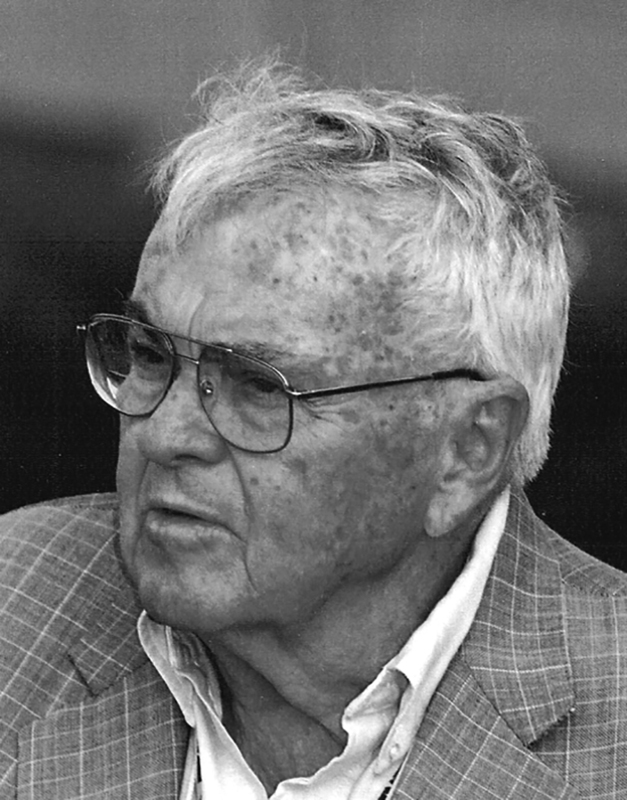 From the 1940s through the 1960s, he announced hundreds of East Coast races for promoter Sam Nunis. 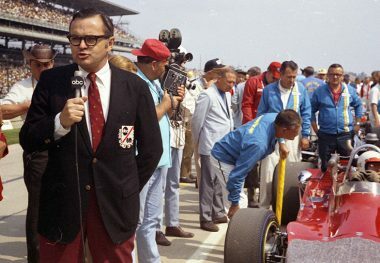 In the early 1960s he became a motorsports commentator for ABC-TV during the early days of Wide World of Sports. 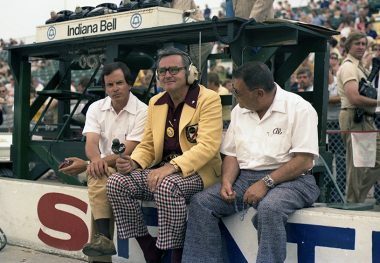 His news-packed weekly column in NSSN, “The Editor’s Notebook,” was required reading for anyone in the motorsports industry.